Pink, Olive 1930 , Olive Pink Collection. Watercolour and pencil on card. 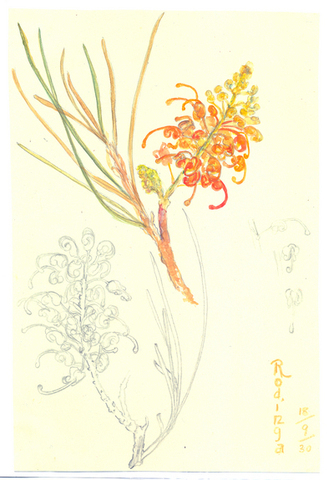 Sketched by Olive Pink at Rodinga, Northern Territory 18/9/30. Identified by Olive Pink as Grevillea chrysodendron , University of Tasmania Library, Special & Rare Materials Collections, Hobart.